With a giant selection of new and used vehicles under $15,000 to choose from, AutoCenters Nissan near St. Louis, MO is a great place to save money on the vehicle you've been searching for. Thanks to our impressive inventory of over 100 new and used cars priced under $15,000 and often less than $10,000, you'll have no problem finding the right vehicle for all of your needs, at a price you can afford. You will even find steals as low as $5,000 on our lot! Just because these cars are more affordable doesn't mean you won't have plenty of great options! While we do have many quality pre-owned vehicles, we also offer quite a few reasonable priced new cars. AutoCenters Nissan has been providing St. Louis residents with great deals on some the best new cars under $15k for a very long time. For more information on our inventory of the best cars for cheap, please contact us at 618-251-3000 today or visit our Wood River, Illinois, location! You may be wondering exactly what type of vehicle you can expect to receive for less than $15,000, but we want you to know that there is no reason to be worried. The same quality vehicles you can find in our new inventory can be found right here in this bargain inventory. These Nissan models under $15k are priced especially for internet shoppers who are in search of a quality vehicle for a reasonable price. You can also find Honda, Toyota, Ford, Chevrolet models and more in our bargain car inventory to offer you more options and variety. 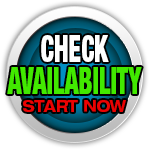 In this inventory you can find used cars, trucks, and SUVs with the same quality build as new models, plus these are priced to move so you can find the perfect fit at an affordable price. Since you will be purchasing this bargain vehicle with us, you can also enjoy exceptional customer service to help you locate the financing option that is right for you. Regardless of your credit situation, from good credit to bad credit, our staff is ready to help guide you through your options and secure you an affordable, low-interest car loan, because your business with us isn't over after you have picked out the vehicle that you want. Our service team has taken a close look at these bargain models to ensure the top level of quality is met on each one because our St. Louis, Alton, Edwardsville, O'Fallon, and Collinsville customers deserve nothing but the best. Browse our inventory of bargain cars, trucks and SUVs and let us know if you would like to set up a test drive. We are ready to serve our customers with everything related to the automotive experience, so be sure to discuss your needs with us.